Supporting couples desiring to build a Christ-honoring marriage. Our marriage ministry provides opportunities to encourage, strengthen, and protect biblical marriages with a focus on premarital preparation. Through our marriage class elective and occasional events, we teach husbands and wives biblical principles that will enable them to build a Christ-honoring marriage. Learn about our guidance for engaged couples. 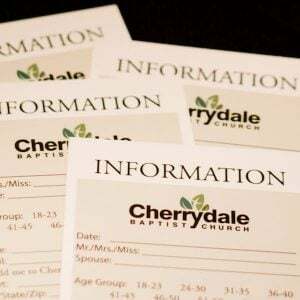 If you’re part of the Cherrydale family and would like get married here, start here.